New to Yoga? You're in the right place. Are you new to yoga? 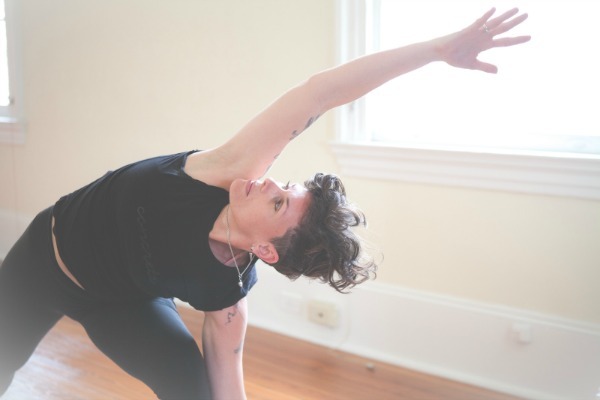 Or ready to re-awaken your yoga practice? In the Introduction to Yoga Program, we offer you a 2-hour yoga workshop and 5 beginners classes within 30 days of your workshop for only $49. This powerful program is designed to introduce new students to basic techniques of yoga, to increase flexibility and strength, and to create harmony within body and mind. In the slower-paced workshop, you'll learn about the yoga terms you've heard but may not understand, like vinyasa. This workshop is designed to give you a strong and confident foundation. You'll bring this foundation to the five beginners classes that you choose to attend after your workshop. The introductory workshop is held on a the first Saturday afternoon of the month for two hours. After that you can attend any five beginners class at the studio within the month. We offer a variety of classes for new students in different styles. At the end of the program, you'll be ready to try out the other regularly scheduled classes. You are free to choose any of the classes on our schedule after the workshop, up to 5 classes within thirty days. We recommend that you start with Level 1 classes, which are meant for newer students and offer the most explanation. Following this program, you'll develop the confidence you need to attend other classes on the schedule.